Ancient wisdom is vast. The more you dig deep, the more there is to learn. The same goes for yoga. Although, yoga is part of the modern lifestyle now, its roots go way back. 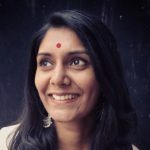 Its history, techniques, philosophies and the concept’s journey since the time of its initiation is something that you should know. So the next time you sit down to practice yoga, fret not for not knowing any of this. Check the 7 best yoga books listed out here to find out. Scroll down to find them. Before that, let’s find out about the culture of writing books on yoga. The most well known ancient yoga text is Patanjali’s Yoga Sutras. Before that, there were many books that mentioned yoga concepts. Like the Bhagavad Gita. Did not expect this, did you? Yes, Bhagavad Gita is one of the ancient texts that talks about yoga. If you go further ahead, there are the Upanishads and the most ancient Rig Veda. Yes, yoga is that old. Wait, or maybe even older. The seals of Indus Valley Civilization features people in yoga asanas. That might be the earliest manifestation of yoga in a put-down format even if it is not writing on a page. Beautiful, isn’t it to know that what we practice in our homes, parks, yoga studios is something born ages ago? There are a vast number of books written on yoga since the Indus Valley times, and you can be sure of finding answers to your queries in any one of these books. Yoga is complex and varied and takes time to understand. So, going through a couple of books is necessary to comprehend the concepts and contemplate on it. Following are some books that will help you get started. Have a look. Swami Satchidananda is a renowned yogic guru who took the concept of yoga to the West in the 60s. In Yoga Sutras of Patanjali, he gives a clear picture of the sutras in their purest form by mentioning the original Sanskrit passages, their translations and word to word meanings. Swami further breaks it down by offering his commentary on it to cut a clear picture for us. The books talk extensively about Raja Yoga and work as a reference for those interested in the spiritual path. It gives detail information about yoga asanas, meditation, ethics and how to deal with day to day challenges. Swami also shares his experiences with yoga. B.K.S. Iyengar the world-renowned yoga expert received the Padma Shri and Padma Bhushan for his propagation of yoga. 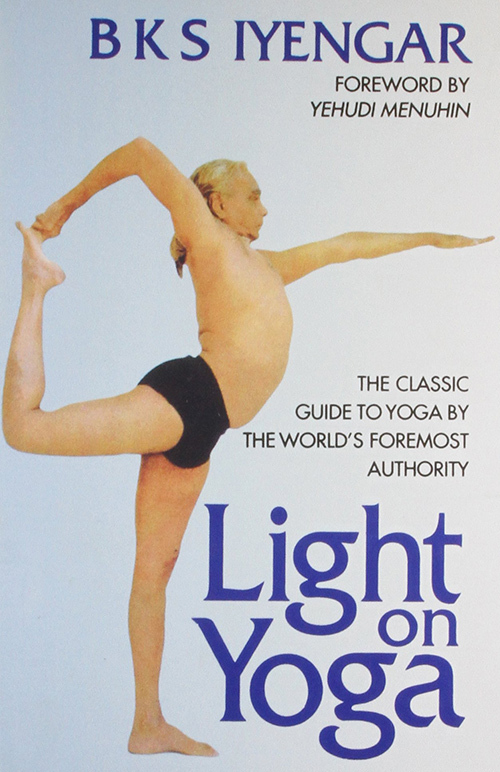 His book ‘Light on Yoga’ mainly deals with yoga asanas. It is a definitive guide to the procedure, variations, and benefits of the asanas. Also, it tells the meaning and story behind each asana and features photographs for each asana. The asanas in the book are rated according to their difficulty level making it easier for the reader to pick and choose those suitable for them. ‘Light on Yoga’ is a bible on yoga asanas, explaining in detail all that you need to know about asanas. 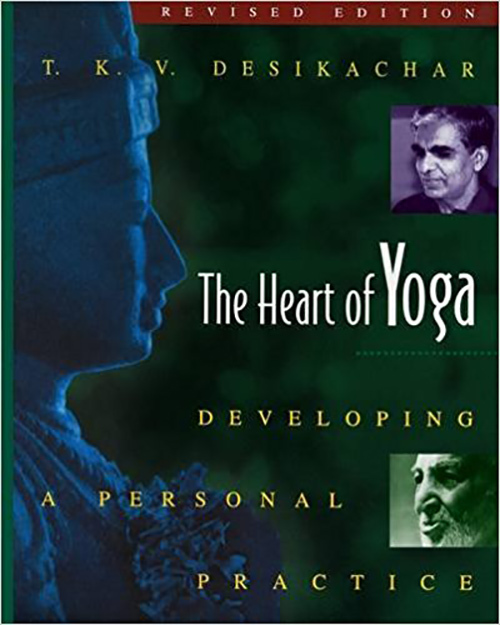 T.K.V Desikachar is the son of Tirumalai Krishnamacharya, one of the greatest yogis of the modern era. World renowned gurus like BKS Iyengar, Pattabhi Jois, Indra Devi studied under Krishnamacharya. Desikachar was trained by his father and became adept in the viniyoga practice, a system where the yoga regime is designed individualistically for each person in sync with their lifestyle, health and food habits. The Heart Of Yoga: Developing a Personal Practice, covers all aspects of yoga that affect a person mentally, spiritually and physically. It guides the reader through the traditional concepts of yoga and helps them customize the poses, meditation, and philosophy to suit his age, health, work, and lifestyle. Deepak Chopra, sounds familiar right? This famous Indian medico immigrated to the US in the 1970s and became an active propagator of alternative medicine after a chance encounter with Maharishi Mahesh Yogi which changed his life and made him leave his job at a hospital. He soon established the Chopra Centre For Wellbeing and gained popularity through the Oprah Winfrey show where he spoke about his work and books. 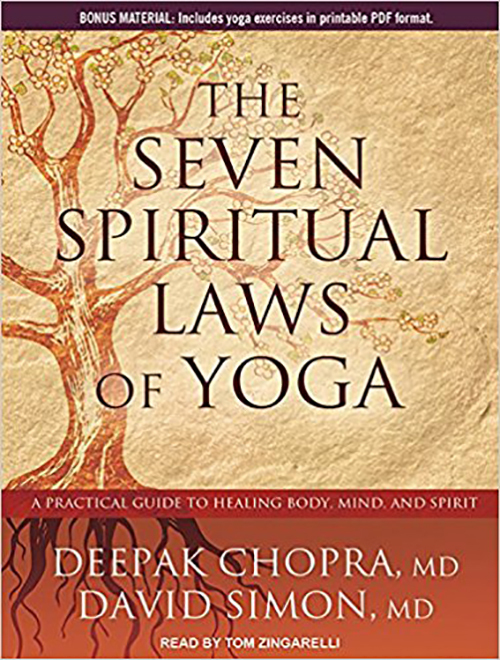 In the book ‘The Seven Spiritual Laws Of Yoga,’ Deepak Chopra discusses the benefits of yoga and addresses the fact that yoga is much more than asanas and a deeply spiritual practice. 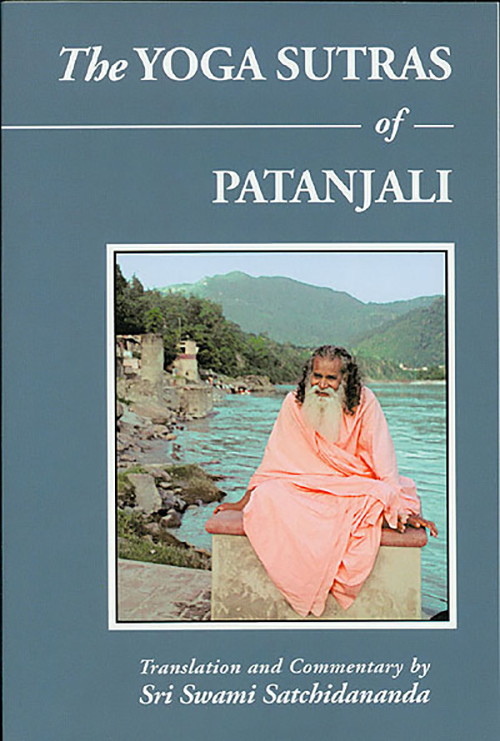 Along with meditation, asanas, breathing techniques and mantras, there are spiritual laws that guide a person to enlightenment and the book discusses that in detail. Nishchala Joy Devi is a healer and empowers individuals with her teachings and makes a profound impact on them. She was the disciple of Yogiraj Sri Swami Satchidananda and also picked perspectives from a few others in India, USA, and other countries. She had studied Western medicine before that and is an expert in blending yoga and medicine. 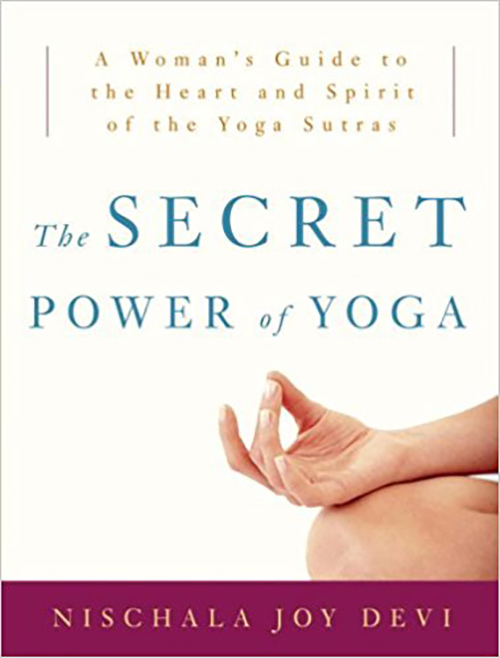 In ‘The Secret Power of Yoga: A Woman’s Guide to the Heart and Spirit of the Yoga Sutras,’ Nishchala deconstructs the yoga sutras and gives it a feminine perspective. It is a translation that speaks to the woman in each of us. Nishchala mainly talks about the emotional aspects of the sutras in this book and offers personal advice on how to embrace yoga. Thich Nhat Hanh is an advocator of peace and a Buddhist monk from Vietnam. Based in France, this spiritual leader and Zen master travels worldwide to spread the message of peace and love. He is an influential participant in peace movements and encourages non-violent solutions to conflicts. Hanh has established organizations that help to renovate and rebuild schools, health centers and villages. 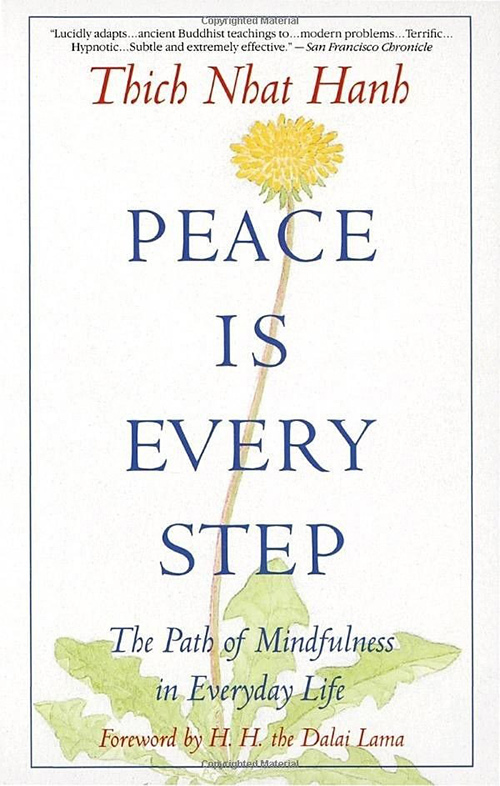 The book ‘Peace is Every Step’ is a guide by Thich Nhat Hanh helps us recognize and imbibe peaceful ways to dealing with life situations. The book advises us to make the most of every situation that occurs in our life and deals with it positively. It enlists ways to be meditative in life with anecdotes from Nhat’s life. The authors Silva, Mira and Shyam Mehta, are disciples of B.K.S Iyengar and propagators of his style of yoga. Silva Mehta extensively spread yoga across the world, more so in the West. She played a key role in establishing the Iyengar Yoga Institute in London. Mira studied under the guidance of B.K.S Iyengar since childhood and taught yoga in London. 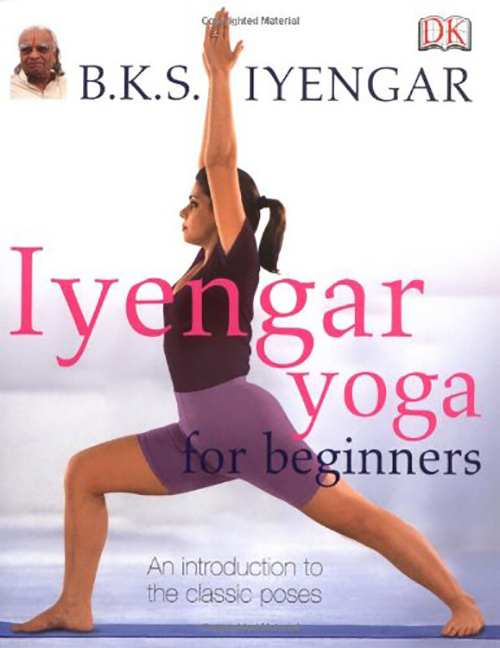 The book talks about the Iyengar style of yoga and guides the reader through the method, posture and instructions of the Iyengar yoga with photographs. It contains 100 essential poses and is helpful to understand the asanas and the style. Can yoga cure incurable diseases? It is possible to notice a massive transformation in people suffering from incurable diseases with proper practice of yoga daily. Yoga is universal. It is a spiritual concept beyond any religion. Understanding yoga may take a lifetime. The books mentioned in this article will only make it a wee bit easy. Check the list, pick a few that interest you and read away. Would you have any recommendations? Do let us know in the comments box below.